Here we present just a selection of some of our talks, and interviews, with thought leaders from around the world. Filmed at our events or live from our Brighton clubhouse, we bring together people that are challenging convention, and helping to redefine life and work. Join as a member to get full access to our library of videos and resources. Warning: some of these videos have led people to leave jobs, start businesses (as well as close businesses) and even re-assess life plans. Jack Hubbard shares the heart warming story of how he turned his life around to reach his (and his employees) dreams, building a culture of innovation and wellbeing in his business along the way. A must watch. Co-founder of Basecamp, creator of Ruby on Rails and author of bestselling books Rework and Remote. Summercamp is our annual gathering that takes place on a 300 acre farm each September. For many it is the weekend that sparks positive change. Relive it with all the talks and interviews recorded from last year. Kees is interviewed at Summercamp 2014 and explains how compassion is the base of happy companies and happy companies are the base of happy societies. 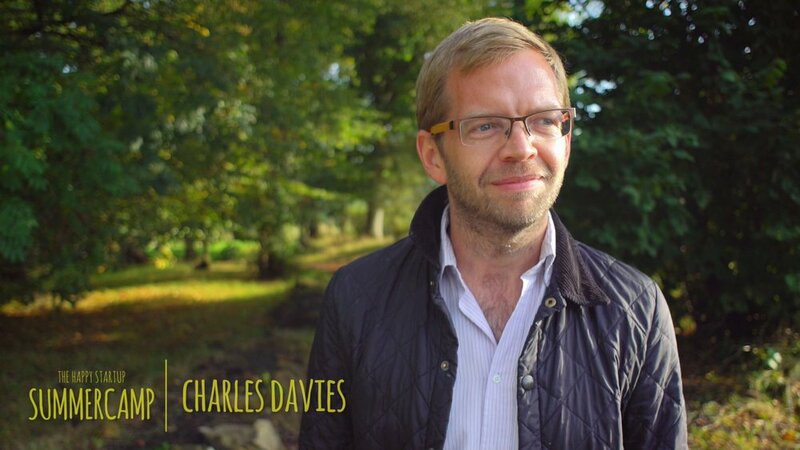 We asked Charles Davies this very question at Summercamp 2016. Watch this short 2 min clip to hear his response and get a different perspective on cash flow. Serial entrepreneur and award-winning author Martin Bjergegaard spoke passionately at Summercamp 2014 about entrepreneurship and how to win in business without losing in life. It was a great final talk. We asked Laurence Shorter this very question at Summercamp 2016. Watch this short 2 min clip to hear his response and start making space for creative solitude. Evgenia Grinblo shares her thoughts and advice for startups, changemakers and people seeking meaning in their lives at the Happy Startup Summercamp 2015. We asked Seb Castro, co-founder of Echo, this very question at Summercamp 2016. Watch this short 2 min clip to hear his response. Apurva Kothari is the inspirational founder of No Nasties, a mission-driven company if ever there was one. No Nasties was established to stand out as makers of affordable ethical clothing that would become part of people’s everyday wardrobes. Carlos Saba, Sophie Kramhoft, and Seb Castro share their own stories and some tips on how to tell them (and hear them) in this Webinar. Explore the possibilities of working wherever. When working remotely, the day is defined by your discipline and not by the rigidity of the office, your team by shared values and not geographical location. Has anyone ever had the feeling that the world just is not right? Like things can be done better? Gustavo shares the questions he had for the world and the story of what awoken him to driving change. We asked Lenneke van Rossum, who is currently working with Seats2meet this very question at Summercamp 2016. Watch this short 1 min clip to hear her response. We asked Marianne Aerni an experiences learning designer and facilitator, this very question at Summercamp 2016. Watch this short 2 min clip to hear her response. User Experience Designer and CEO of Clearleft, Andy is a best selling tech author, curates the dConstruct and UX London conferences and helped set-up The Brighton Digital Festival. Designer, Creative Director, Teacher, Speaker and Author of Design the Life You Love, Ayse Birsel joined Laurence McCahil for a Q&A on her life, her influences and her creative process.